Check out this short interview with CEO Ricardo Guadalupe. 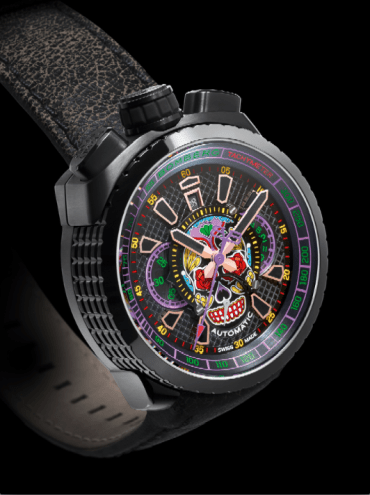 Since taking over the helm in 2012, Guadalupe, with the help of friends and business associate Rick De La Croix, has been able to strengthen and grow the Hublot empire with an array of initiatives that has been able to attract a broader and younger following. Click the image below to read about his approach to brand-building and staying relevant in the digital age. Not for seconds, not for followers. For all the leaders and risk takers around the globe. 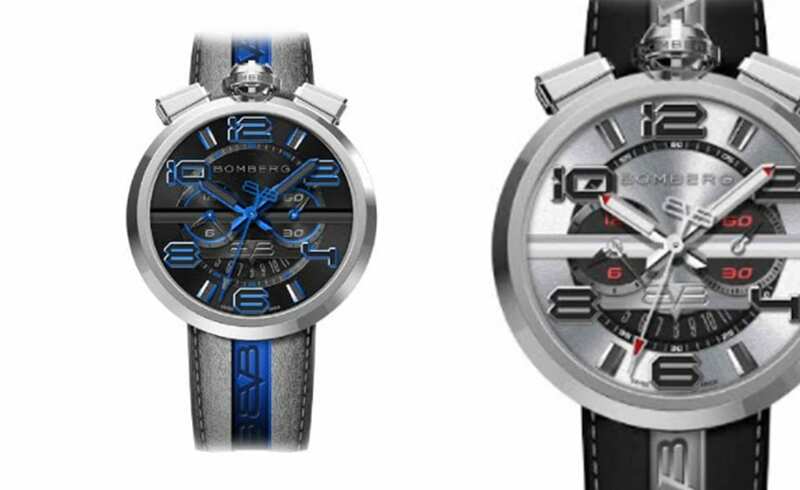 Holiday gift ideas from BOMBERG by Rick De La Croix. These versatile interchangeable timepieces by Bomberg would surely be a big hit this holiday season for that special leader in your life. 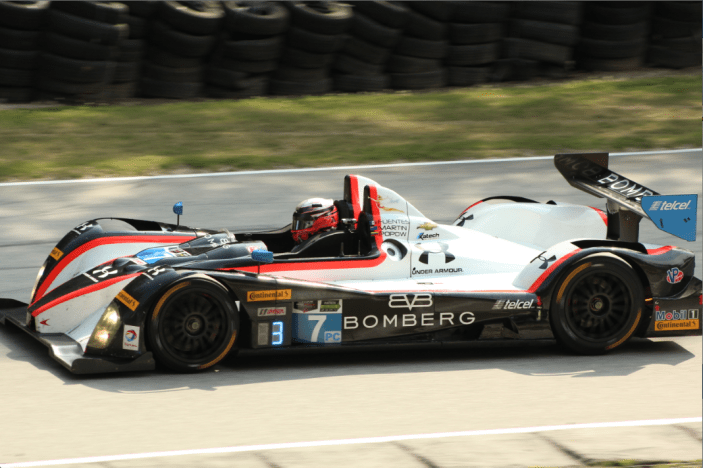 The BB-01 and Bolt-68 Racing both offer unique distinct styles for Men and Women. Read the original article and break down of both timepieces here. Full video clip for ‘Not for the Ordinary’ by Rick De la Croix. Rick De La Croix always beating the odds. 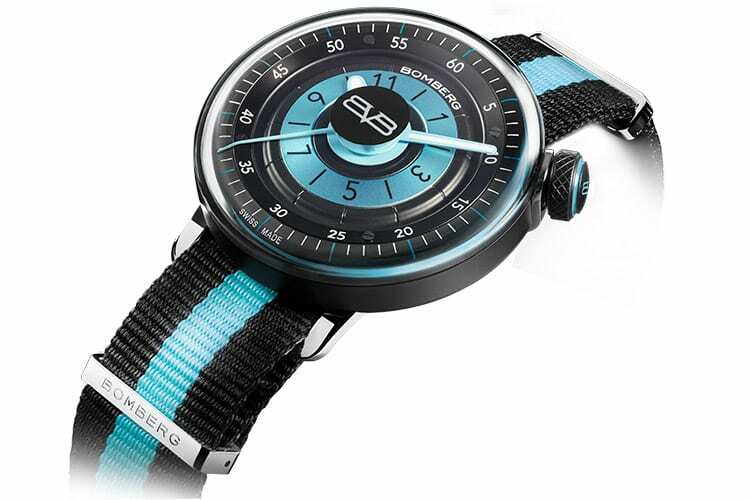 Bomberg watches was created for the leaders, the rebels and the individuals of the world, not the seconds or followers. Rick De La Croix beated the odds and created Bomberg watches for the leaders, the rebels and the individuals of the world, not the followers. Original article written by: Walter Gassire Gallegos in spanish can be seen here. Creativity is the ability to think “outside the box”, outside of the established, according to Pieric “Rick” De La Croix, president of BOMBERG. His vision is to create and establish a brand of lifelong watches with international exposure, creating a new, unexplored market space instead of competing in an existing one; a brand that does not put much focus on potential competitors but rather on the needs and desires of the community that makes up its target audience, thus capturing demand at the time of its emergence. The new 1968 FIXED MEN CHRONO is made primarily of stainless steel, comes in 6 different colors and combinations: red, green, blue, silver, black and all black. The FIXED 1968 MEN CHRONO, with a 45 mm case is no exception to the rest of the collection and features a changeable strap, dependent on the mood and personality of the wearer. The strap comes in silicone or leather. 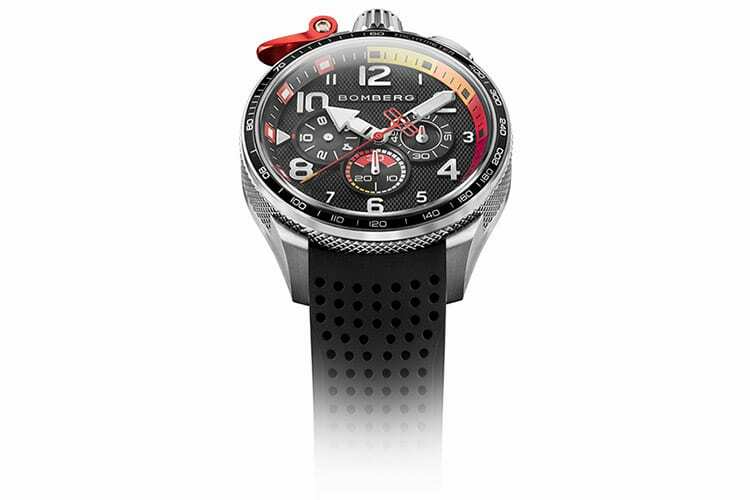 The position of the button at 12:00 is a hallmark of the BOMBERG brand. Bomberg: A company that says more about a person than any other, that speaks to one’s character and the decisions he makes. Oftentimes, this is what matters most, and this man is no exception. Watches World: How did your journey down this path begin? Rick de la Croix: I have been working in the world of watches for more than 20 years. I worked in the product and market department of TAG Heuer, as well as for Corum Clone Replica Watch where I got enough commercial experience to finally start my own company in 2004, first as a watch brand distributor, and now with my own brand Bomberg. WW: Who would be your watchmaker mentor? RC: The first person who opened the doors to this world was Mr. William, who in the second period of the 80s served as president of TAG Heuer. Then I worked with Severin Wunderman during my time in Corum, where we were able to develop both the well-known bubble model and the Admiral’s Cup. However, my greatest inspiration has been Jean-Claude Biver, whom I consider as my friend, my teacher and with whom I started working with Hublot in 2004. WW: Could you share more with us in regards Mr. Biver’s influence on your life and your work? RC: It would not be good to use the word godfather, but he’s someone who has supported me; I think there are many successful people in life, but I do not think that success or intelligence is what gets you where you are, you need an opportunity, and he gave me the chance to join Hublot with him, and to relaunch it in 2004. He is a person that you learn from everyday, it’s like going to school and taking daily classes. Thanks to him I have had the opportunity to continue growing in the LVMH Group, and for that I am very grateful. WW: How did Bomberg emerge? RC: I was a little bored of creating watches in a defined price segment, which represents one of the first purchases of a watch. The 18 to 25 year old market segment was looking for a new brand, and there wasn’t one. There were very conservative and uncreative brands, so the young men were losing interest in watches and preferred to buy the latest gadget than invest in a watch. To reverse the situation creativity was my main goal, both at the product and marketing level, I wanted to provoke a reaction from the piece and the campaign, like a the man full of tattoos, and go in a new direction. My philosophy is “Defy conformity”, which means leaving the round, three needle watchmaking world to create something totally different. 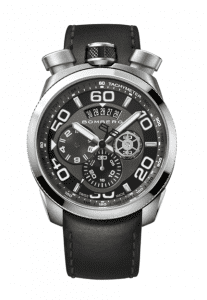 WW: What are the advantages of Bomberg over other brands? RC: We used the year 1968 for its revolutionary meaning (Bolt 68). This was a big year in the United States’ movement into space, and likewise as a watchmaker we’re making new movements. What I wanted to do is modify the style of wear it without losing elegance. It can be mounted on the wrist, but it can also be hung off your clothes as a pocket watch. WW: What motivated your decision to change production to Swiss Made? RC: I was educated in the world of luxury, and it’s not price that matters, but quality. So at the end of the day I felt uncomfortable making products not made in Switzerland and we modified this vision to deliver Ronda and Concept movements in quartz and automatic mechanisms respectively. WW: Which countries have best embraced Bomberg? RC: Today we are present in 18 countries, with a detailed distribution work, which not only seeks to sell watches, but to generate an industry that builds up the product and the creativity of marketing. Mexico is a great example of reception for the brand, since we started three years ago and now we have 75 outlets with as strong a presence in the most prestigious jewelers as in the main department chains. WW: What does Rick de la Croix [link to http://aresdistributors.com/pieric-rick-de-la-croixs-social-sites/ ] still need to obtain? RC: Personally I think I am very lucky, I have health, I have a family that loves me, I have a team that likes to work and generate new ideas without conforming and that goes beyond the general thinking to create instruments that we are passionate about. WW: What has been the biggest challenge in your career? RC: Consistency, remaining independent for more than 10 years. I have a loyal team and clientele, which for me is very important. I believe that the greatest challenge does not mean to arrive, but to be consistent and maintain the humility of hard work. WW: Have you thought about building a women’s collection? RC: Not at first, because I wanted Bomberg to be a brand focused on men, but many women have written us and requested the creation of a watch with the spirit of the brand, a “rock & roll” style for women who do not settle for anything, so during the last 18 months I’ve been considering it. WW: What would be your definition of luxury? RC: It is a lifestyle that encompasses living well, being healthy, having material goods that show your personality. WW: What is Toys for Boys and Bolt 68? RC: It’s more than just a watch, it’s a toy for men that reads time in a different way. Its chain and bayonet system goes much further than a traditional watch, so we are sure it will be a success, because it is different, irreverent and has a daring design. “Our vision is to create and establish a permanent watch brand with international exposure, as well as to generate a new market instead of competing in one that already exists”: Rick de la Croix, Chairman of Bomberg. Pieric “Rick” dela Croix made a trip to Mexico to announce an all new partnership between Bomberg and Harley Davidson. 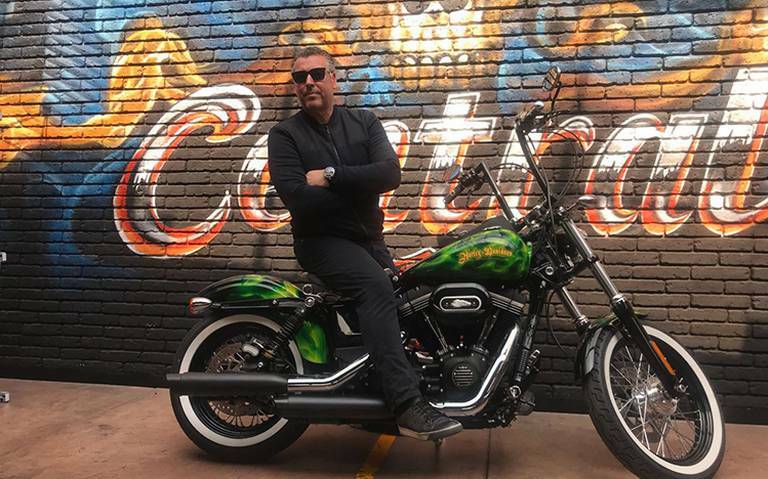 This exclusive El Sol de Mexico interview reveals his in depth watchmaking experience in the industry and gives details on the new SKULL RIDER BOLT-68 collection. Check out the English translation here. Or check out the original spanish article here. In this interview he told us about his lifestyle and experiences he has had throughout his career. 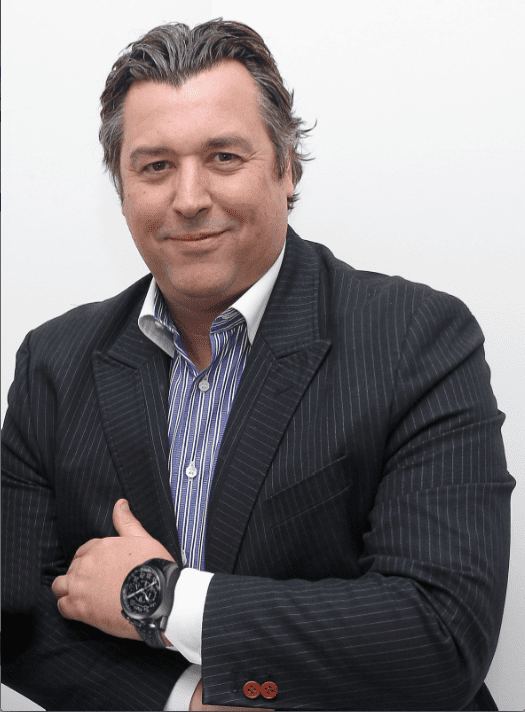 Rick de la Croix [link to http://aresdistributors.com/rick-de-la-croix/] , CEO of Attila Distribution Group, visited our country recently to announce his new partnership between his luxury watch brand Bomberg and the renowned motorcycle brand, Harley Davidson. With over 20 years of experience in managing luxury watch brands, the businessman believes that authentic watches possess precision and a unique beauty that is evolving over time. In this interview with El Sol de Mexico, he told us his lifestyle and experiences he has had throughout his career. “All this time has turned my hair grey (jokes). It is a stressful industry, because there is never satisfaction. A timepiece isn’t created to be commercialized, but rather to reflect something more,” said Rick. During the conversation, the 50-year-old businessman confessed that he is considered a sensitive, authentic and emotional person. His grandfather gave him his first watch and his father gave him a Rolex when he turned 13. “These days it seems that we live in a time when the cell phone has become a part of us. It’s a lifestyle that unfortunately lacks emotion. That’s why I strive for each of my creations to reflect my experiences and emotions” he explained. De la Croix [link to http://aresdistributors.com/rick-de-la-croix/] believes that Harley Davidson is a brand full of values, which continues to serve people looking for adrenaline and passion in what they do. “Harley gave me the opportunity to speak with their customers and convey to all the “hoggers” my philosophy and creativity. I think that when you get on a Harley, the rush you get isn’t like anything else and you get addicted to it,” commented the businessman. “No one uses a watch anymore, they simply look at their cell phone and that’s it. What I want is for people to pay attention to the mechanics and craftsmanship that goes into creating a watch; values ​​like these are slowly losing ground and the world has to be woken up.” declared De la Croix. 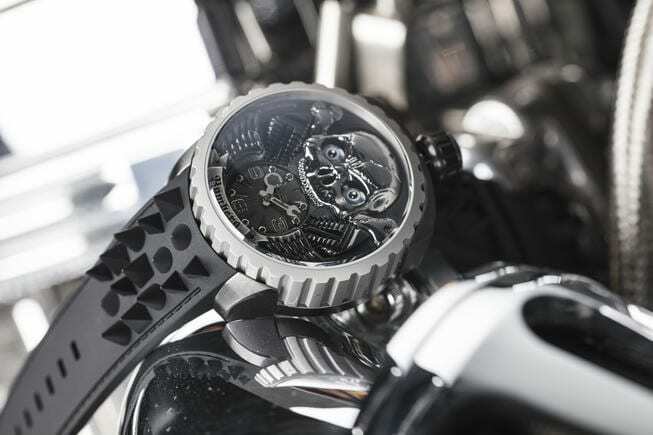 The SKULL RIDER BOLT-68 collection is distinguished by its high level of craftsmanship and futuristic features. 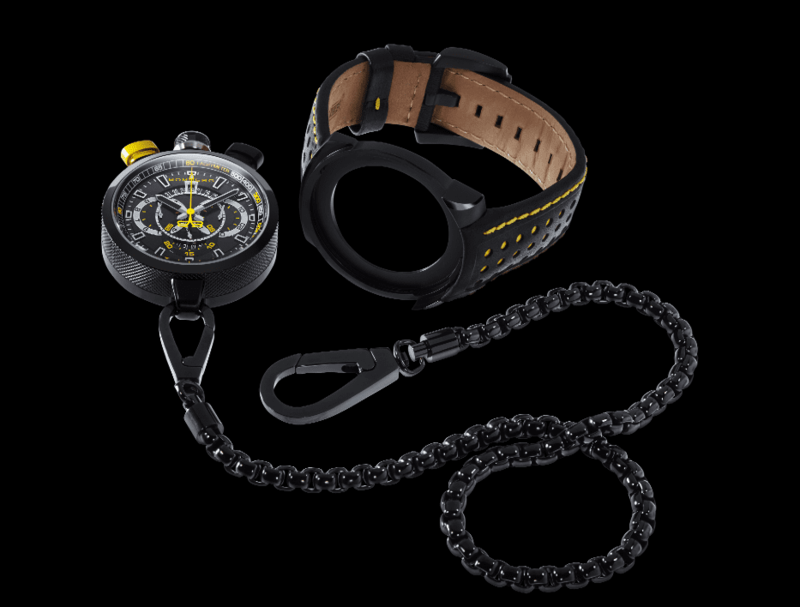 Its bayonet system patented by Bomberg has a trigger that converts it from a wristwatch into an exclusive pocket watch. As an added bonus, this piece includes an accessory that allows you to place the watch in a motorcycle’s handlebar, providing the wearer with versatility and another innovation. It is inspired by the world of the motorcycling, the watch represents a reinterpretation of the essential concepts of the brand on a motorcycle where its own skulls are seen as much on the side as on the front, in the color green. Created and developed by its designers, this incredible collection is meant to be a standard and an extension of the person who wears it. “This is the first collaboration between the two brands and the first wristwatch meant for both pocket watch and motorcycle use, designed with the understanding that when you are riding you cannot see the time. It’s also looks good as an exclusive motorcycle accessory” He explained. This collection was a dream for Rick, “I am very proud when a passion takes form, and a dream becomes reality. Bomberg is my child, I have made decisions with this brand that have turned it into great challenge, which it is to create a brand that touches the emotions of its clients”, he concluded. In true Toys for Boys style, Issue 12 cover release party began with a private dinner for a select few and transitioned into a larger grand cocktail party for special invitees at Cantina La Veinte. 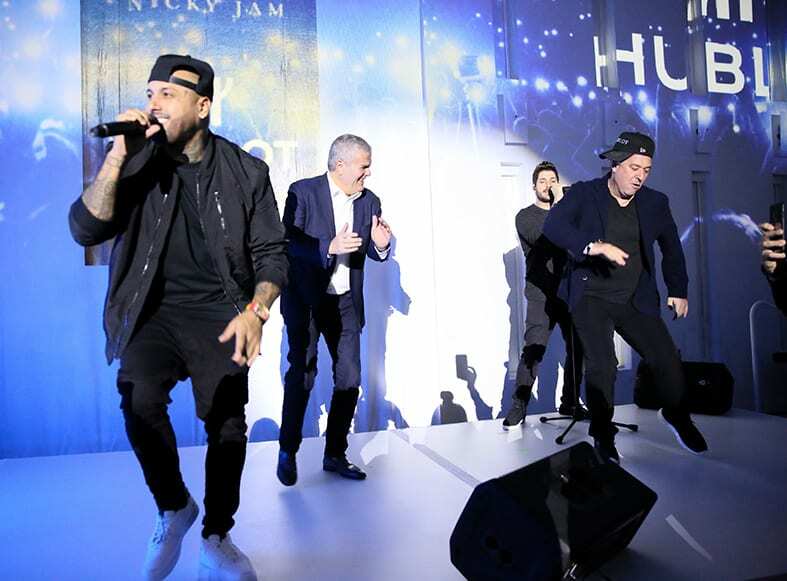 The gala event was hosted by none other than Nicky Jam, who recently celebrated his ambassadorship with Bomberg Watches in which he collaborated on the design of two sleek, all black timepieces, which set the dress code for the event: all black, sleek and formal. The fun was fueled by Ron Diplomatico, which was free-flowing until the late night hours. In attendance were a group of Toys for Boys regulars including: Rick De La Croix, Gianluca Vacchi, Amaury Nolasco, Alec Monopoly, Jordi Molla, Daniela Botero, Greg Lotus, and Javier Martin, amongst others. Originally founded in 2012 in the heart of Switzerland, Bomberg might not be able to boast of the storied heritage that other older Swiss watchmakers can claim but the brand makes up for it with a strong image centered on provocation and unconventionality. Rick De La Croix is the genius unconventional mastermind behind the Bomberg watch brand. Think bulldogs, chains wrapped around models, and tattoos galore. In a way, the most atypical Swiss watchmaker you’ll ever see. Its new Skull Rider collection is the definition of their fearless manifesto. 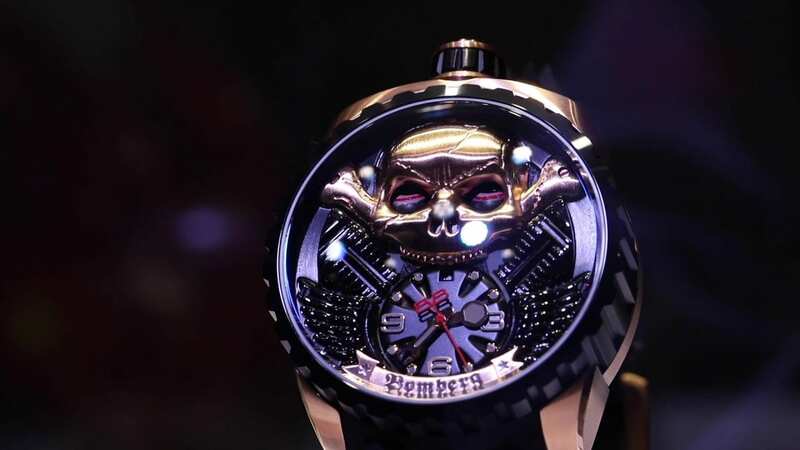 The centerpieces of the collection are the BOLT-68 Skull Rider automatic timepieces, which are available in three aptly named Bomberg-inspired colours (because calling it black, yellow and blue would be un-Bomberg-like): Blackheart, Hellgold and Eternity Blue. Follow on the image below to read the full article.